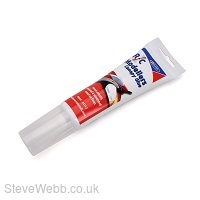 Deluxe Materials R/C Modellers Canopy Glue is a multi-purpose gap filling glue that is ideal for gluing canopies and other clear plastic parts. 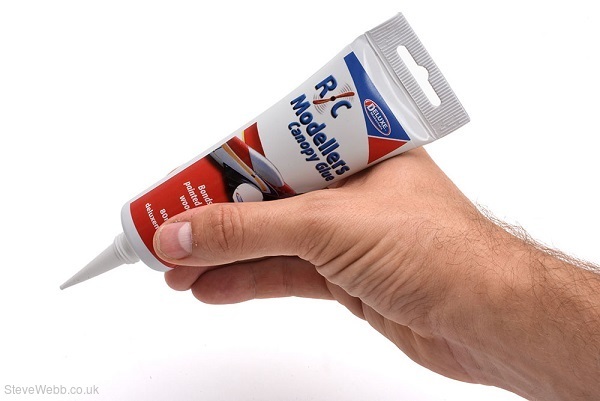 It is thick and tacky so it will not run into unwanted places and while it starts out white (so you can see where you have applied the glue), it then dries clear and remains flexible. It will bond a combination of wood, plastic, fabric, foil and even painted surfaces. 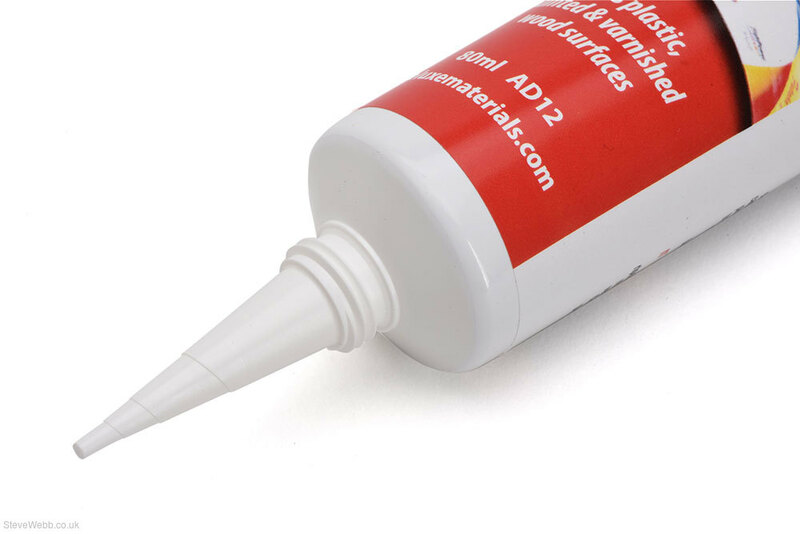 The 80ml tube container allows for precise application thanks to its long nozzle which can be cut at different points to allow different flow rates depending user preference.